Rooms – The Unsolvable Puzzle is a beautiful indie game matching sliding puzzle and platform genres. 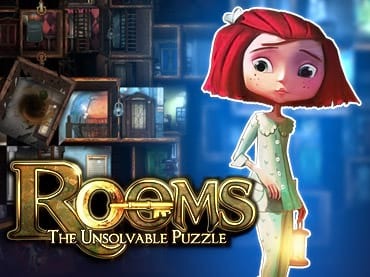 In Rooms – The Unsolvable Puzzle your task is to find the exit by exploring a group of sliding puzzles. The game features a unique gameplay, beautiful graphics and plenty of challenge for all the puzzle game fans. Explore the mansion and make use of the various gadgets that are there to help you find the exit. Addictive puzzles and serious challenge towards the end of the game. If you have questions about Rooms – The Unsolvable Puzzle game, please contact us using this form.